Available now in 51 countries worldwide! Pick up your copy today at Amazon.com, iBooks, or Amazon Kindle. 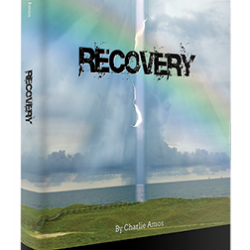 It is amazing to watch the journey of “Recovery” from manuscript to market! This video demonstrates the meaning of “hot of the press”. Watch the printing of “Recovery” here. Charlie at the press check of Recovery! This was so cool to watch as the printer pulled sheets from their huge machines for Charlie and the staff at Capital Printing to color check Recovery. The book is on the press now and soon will be in your hands! Click here to watch the action!